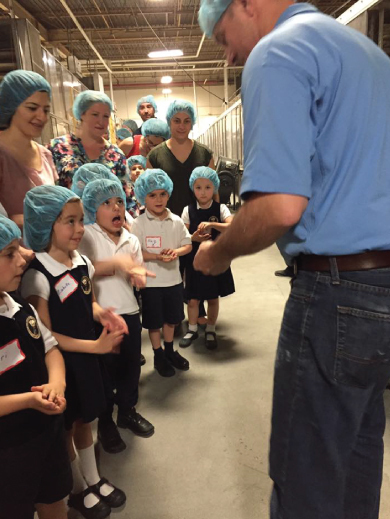 The Toufayan family bakery is not only dedicated to delicious breads and baked goods, but is fully committed to making an impact in the community. This tight knit family business has a history of giving back. Karen Toufayan, VP of Marketing and Sales, credits her mother with instilling the important values in the family, and her father Harry with reinforcing those values since they were children. The communities in which we operate are like extended family, and we are proud that our neighbors know they can rely on Toufayan. From local students to local heroes like police officers, the company takes pride in sharing the products we bake with those around us. When asked what their most passionate endeavor is when it comes to giving back, Karen replied, “Children and their education. 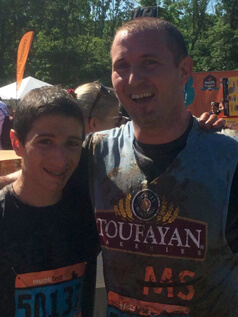 So many schools struggle with budget cuts, and it’s a perfect way to give back locally and invest in the future.” In 2009 the Toufayan’s ran a NYC marathon and raised more than $35,000 dollars to help a local school. 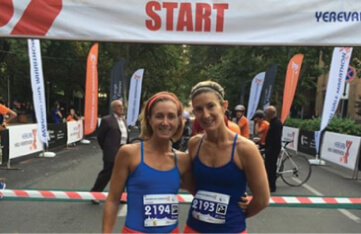 In 2011 the Toufayan sisters ran again and raised almost $40,000 for the school’s financial aid fund. For the last ten years, Toufayan has also partnered with a local school to offer a breakfast snack for children who didn’t eat at home. As a 91-year-old brand, the Toufayan’s keep one eye on the future but never forget the past. Authentic breads like pita celebrate the family’s culinary history. 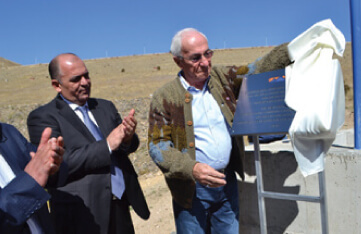 One of the most significant projects undertaken recently was the rebuilding and expansion of a youth center in Armenia. After visiting his home country, Harry was moved by the needs of children in the city. Undertaking the rebuilding of the crumbling structure, Harry also implemented improvements and additional activities. The center now houses an after-school program with a focus on arts, sculpture, weaving, music and sports. After the completion, Harry saw another need for healthy meals, and once again expanded the center to include a soup kitchen which offers 3 meals a day, 365 days a year to those in need, including children and the elderly. Harry and his wife privately sponsor the center and make quarterly visits to oversee operations and determine additional need. Toufayan is there when you need us most. 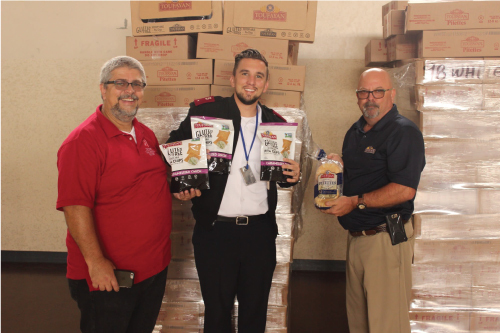 Natural disasters nationwide are met with product shipments to feed those in need along with monetary donations to support local relief efforts. Victims of fire disasters from NJ to California, tornadoes in Oklahoma and hurricanes on the east coast and in Puerto Rico are among recipients of assistance from Toufayan. 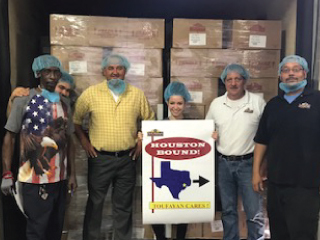 Toufayan partners with community initiatives to support various causes in locations around the nation. 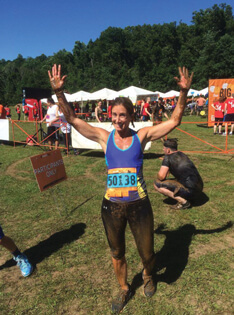 Beginning in 2014, Toufayan partnered with the National MS Society in New Jersey, New York and Florida, to give back to the local community and help fight multiple sclerosis through support of fundraising efforts and participation in local community events. As a major corporate sponsor, Toufayan donated lunch to over 12,000 participants at the New Jersey MS Walk in Ridgefield Park each year. 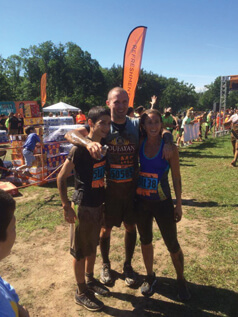 Siblings Greg and Karen Toufayan (and executives at Toufayan) also quite literally “got their hands dirty” at the annual Muckfest MS event in New Jersey, a mud run and obstacle course that brought out over 4,000 participants to raise awareness and funds for MS research and education. The partnership between Toufayan and MS grows stronger in the local communities each day, with more planned events for the future. Toufayan is proud to donate product to events held by Alzheimer’s New Jersey, supporting care and support for New Jersey families today and helping to advance research for a cure tomorrow. Toufayan is proud to donate product to events annual held by CYCLE. The mission of CYCLE is to provide children with issues pertaining to gluten an outlet where they can feel accepted and “normal” along with their peers. Toufayan is proud to donate product to events held by the Make-A-Wish NJ Chapter. Make-A-Wish arranges experiences described as “wishes” to children with life-threatening medical conditions. 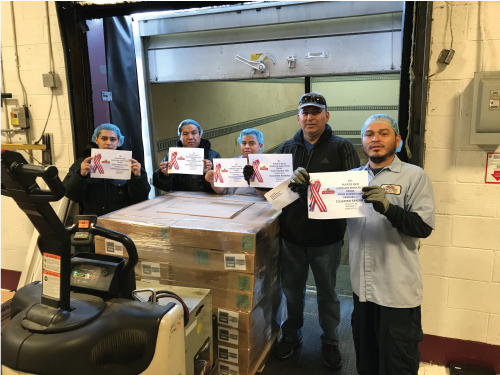 Toufayan is proud to donate product to Emma’s Torch, an organization providing top-notch culinary training to refugees to help them find meaningful careers in the food industry. The Toufayan family takes an interest in the community, giving back and supporting special programs. Join us for our next event or check below to see how our latest event worked out.